Dave was a founding member of "A Coupla Fat Guys" comedy team, band, radio show, and cooking show. 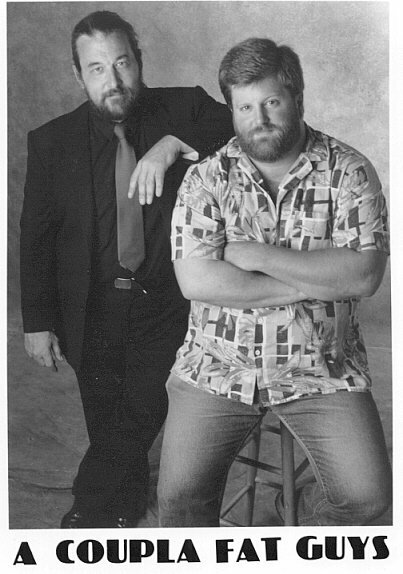 ACFG toured the country doing comedy and playing live music for fourteen years, produced a CD that was played on radio stations worldwide, and did comedy clubs as a duo in seventeen states. He also produced several original internet series for National Cybercast in 2000. They were the first to cover Taste of Chicago for the internet. His comedy team was followed by a two camera crew as they tasted food from every booth. Rick Kogan of the Chicago Tribune wrote "The Fatguys are a big breath of strange fun."